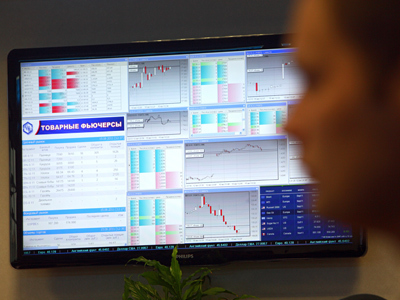 Russian markets are likely to open flat Tuesday despite investors’ optimism on the Greek issue. ­“In general the market situation looks positive, but we expect Russian trades to open flat in a range of -0.5% to +0.5%”, says Pavel Emelyantsev from Investcafe. 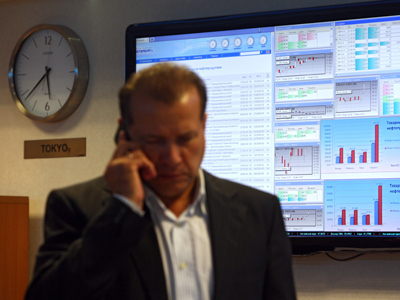 Russian shares ended higher Monday driven by positive news from Greece. The MICEX rose 2.23% while the RTS added 2.66%. Coal miner Raspadskaya was up 8.65%, VTB 4.58% and car maker Sollers 3.94%. These were the major gainers. European stock markets climbed Monday after the Greek government approved austerity measures required to receive the 130 billion euro rescue package. 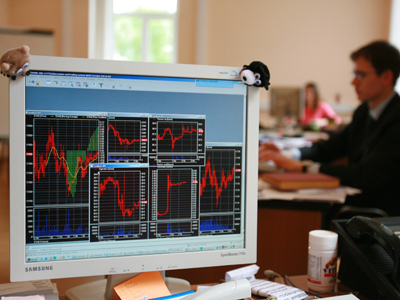 The Stoxx Europe 600 added 0.7%, while the German DAX 30 rose 0.7% and French CAC 40 index ended 0.3% higher. 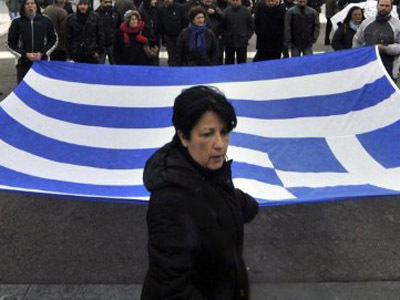 U.S. stocks closed broadly higher Monday in welcoming Greece’s approval of the austerity plan. The Dow Jones rose 0.6%, while the S&P 500 added 0.7%. Asian stock markets fell modestly on Tuesday after Moody’s rating agency cut the ratings of several euro-zone nations, including Italy, Spain, Portugal, Slovakia, Slovenia, and Malta and lowered its outlook on the UK and Austria. South Korea’s Kospi fell 0.3%, while Japan’s Nikkei Stock and China’s Shanghai Composite both declined 0.2%. Hong Kong’s Hang Seng traded flat.